It's been so hectic the past couple of weeks (or should I say months) so I rely on random compliments, little acts of kindness, and sweet surprises to keep me going. My happy thought yesterday, which you probably saw on my Instagram, was this box of limited edition Cadbury doughnuts from Krispy Kreme Philippines! I was on my way to work when T called saying I had a package at my blog shipping address. Unless it's food, T never bugs me to pick it up the day it's delivered. I don't schedule deliveries on weekdays though so I wondered what it was. To celebrate Chocolate Month this September (yes, there is such a thing! 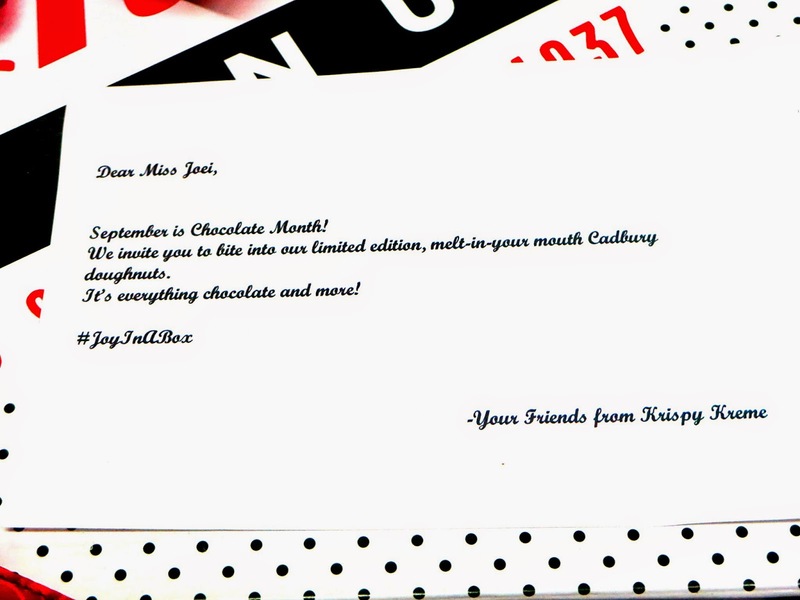 ), Krispy Kreme collaborated with world famous Cadbury to create limited edition, melt-in-your-mouth chocolate doughnuts. 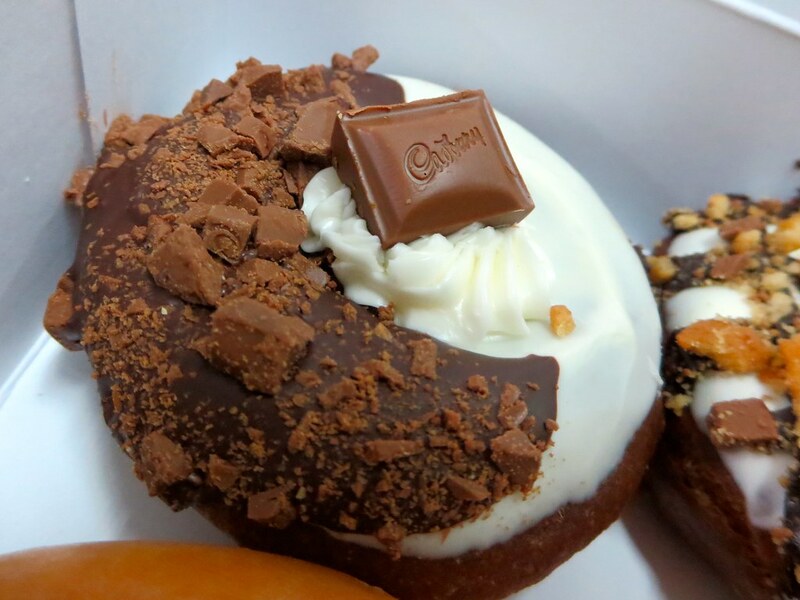 Chocolate doughnut dipped in white and dark chocolate and topped with a dollop of Vanilla Kreme icing and crushed Cadbury Dairy Milk chocolate. Chocolate doughnut with checkered chocolate ganache and topped with crushed graham crackers and Cadbury Dairy Milk Chocolate. 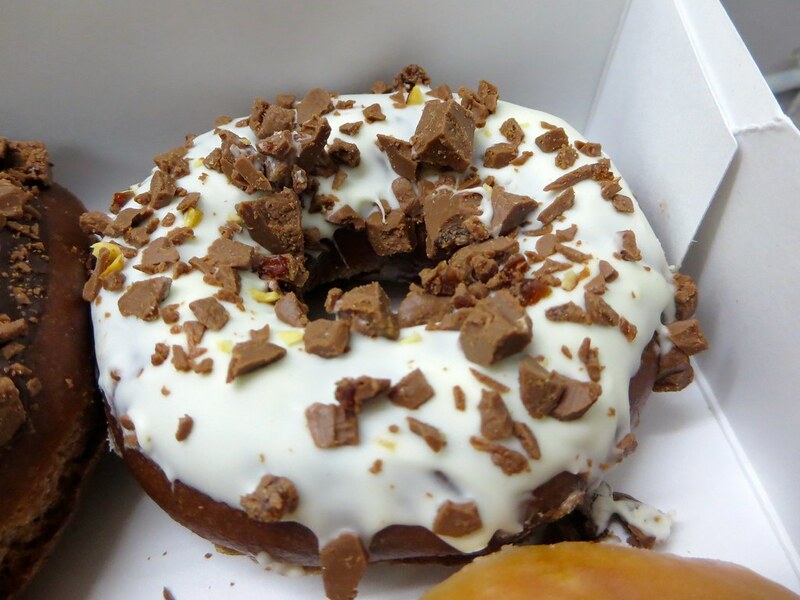 Chocolate doughnut dipped in white chocolate and topped with chopped Cadbury Dairy Milk Fruit and Nut. 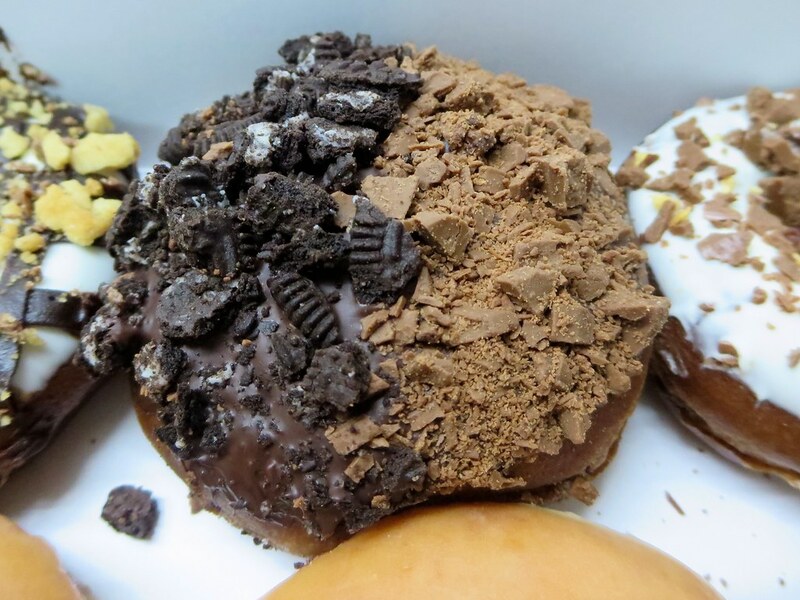 Chocolate doughnut with chocolate kreme filling, dipped in dark chocolate, and sprinkled with crushed Oreos and Cadbury Dairy Milk Chocolate. 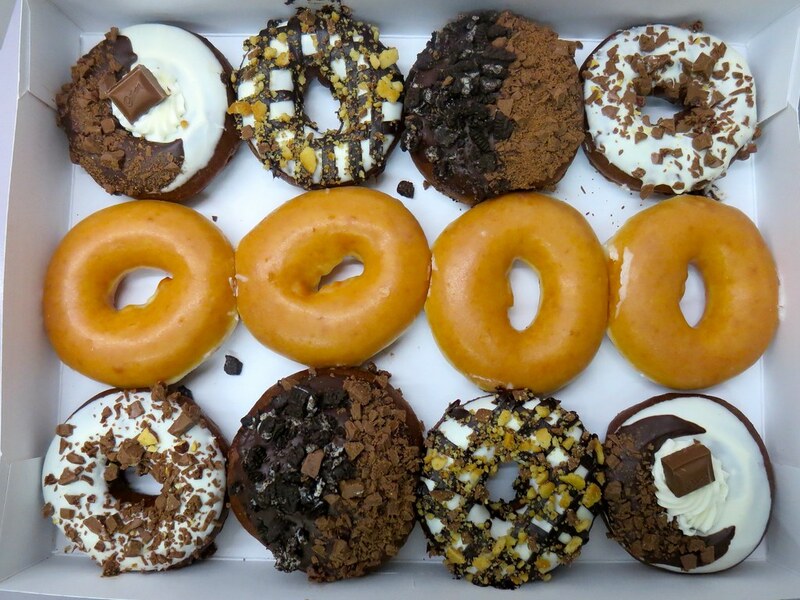 Where to buy these Krispy Kreme x Cadbury doughnuts? Well, good news for everyone. They will be available starting today (September 10) in all Krispy Kreme branches nationwide. 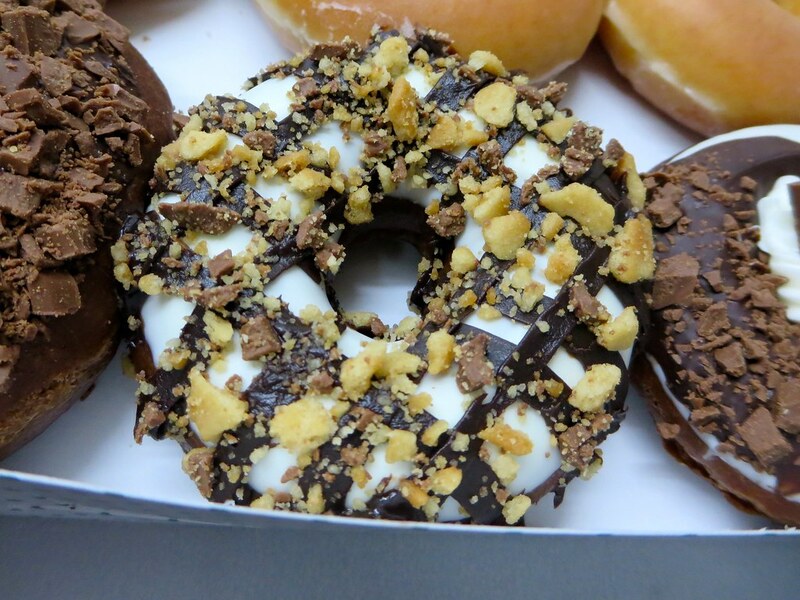 But these doughnuts will only be sold for a limited time so hurry to a branch near you. JOMS. Yes it is! Not too sweet, just right :) Enjoy!